*Nikki and I had a nice morning walk this morning. At 8 a.m. I hopped on my bike and rode over to The Bean to have coffee with Christy and Debbie. We were also joined by April Muhs. We had a nice visit for most of the morning. *I came home and took care of some more business, and hopped on my bike again to deliver an envelope of information to someone. *My new VIPKID job is in the works. There is information I want to read up on and watch online before I start scheduling classes. Once I put in timeslots online that I want to teach, I will start teaching 25 minutes sessions in teaching English to 5 and 6 year old Chinese students. *This month the Sixth Street Melodrama is performing a play I wrote 12 years ago, titled Nightmare at Dream Gulch, ...or Wake Me When It’s Over. 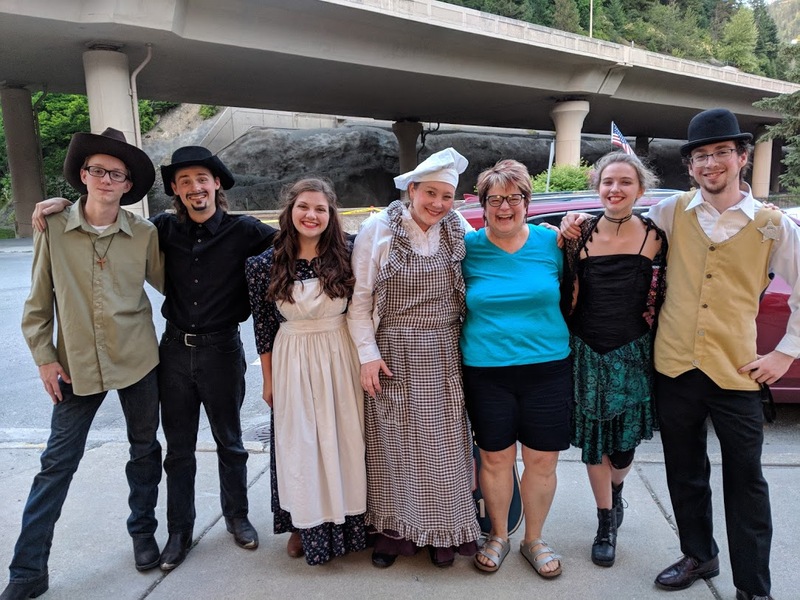 It is a melodrama based on a story about Reverend Davis, who came to Murray during the Gold Rush and found lots of gold based on a dream he had. It was so fun to see what the director Pricetag Antiques Anita Price did with the show, and the cast did a great job. To be honest, I didn’t remember a lot of what happened in the play until I started watching it again. Paul and I really enjoyed the production!! If you want to enjoy a fun and entertaining evening, go see the show. It is performed Wednesdays through Saturdays at 7 p.m. and Sundays at 2 p.m. through July 29th.